New Port Engineering is proud to introduce it's new Clean Wipe Wiper System for the 1932 Ford 3-window Coupe. This kit has been specifically engineered for original steel 1932 Ford 3-window Coupe bodies and the new reproduction Brookville 1932 3-window Coupe body. 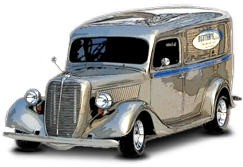 New Port Engineering provides the necessary parts to install the kit in original 1932 Ford Coupe bodies with only slight modification to the original header. 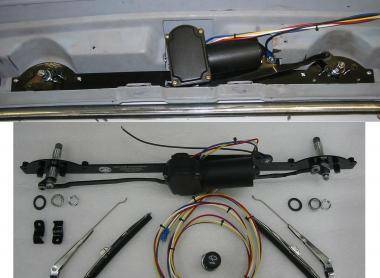 This kit utilizes New Port Engineering time tested designs such as a heavy duty 2-speed self parking motor, bronze oilite bushed transmissions, laser cut mounting brackets, linkage arms, polished stainless steel arms and blades, precision drill bushings, and chrome eustuchion plates. Options of Intermittent Delay switch and washer pump kit can be easily added to upgrade to a deluxe kit. 3-Year Warranty.